The hotel offers a luxurious surrounding while the ambience reflects the majesty of the bygone era. 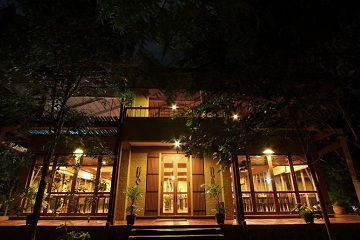 It does have a top-notch Ayurvedic center and a garden-themed bar. Bicycle hire and boat trips on the tank are available. 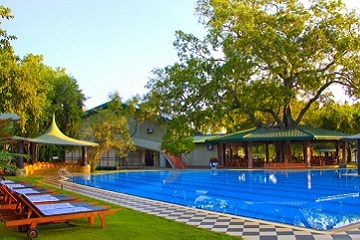 Featuring an outdoor pool, sauna and a fitness center, hotel Sudu Araliya is situated close to the banks of Parakrama Reservoir. Elephant Reach Yala is a luxury Hotel that is located in Yala with many national parks within easy reach. Other nearby attractions includes the historic towns of Kataragama, Kirinda and Sithulpahuwa. Hotel facilities include an outdoor swimming pool, a lovely restaurant and bar as well as safari jeeps with guides for you to explore the wonders of natural habitat. The Mermaid Hotel & Club offers the perfect haven for sun, sea and sand lovers. This tropical retreat features 2 outdoor pools, a health spa and free parking. Guests can play a game of water polo or join water aerobics class at the swimming pool. 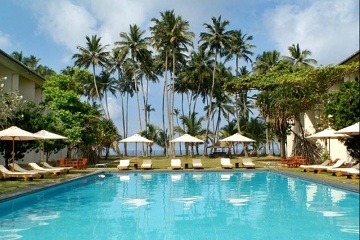 Mermaid Hotel occupies a desirable and convenient coastal location ideal for an unforgettable tropical holiday.